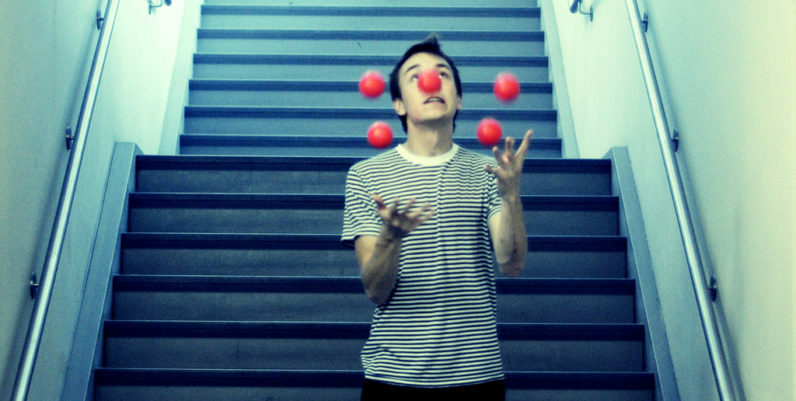 As a product manager, you may have unknowingly signed up to become a professional juggler. While no two days are alike, we constantly find ourselves juggling multiple balls and doing our best to keep them up in the air. We move between various product features and release cycles while keeping every detail in motion — all while working to inspire the people and teams we work with. If we drop a ball, the rest of the juggling act is on hold until we’re able to get the ball back in action. My experience spans 17+ years in business and consumer domains at Yahoo, Visa and IBM. Previously an engineer, and as the current Senior Director of Product Management of Yahoo’s Homepage and News product portfolio, I’ve learned a lot about executing successful product strategies, utilizing frameworks and managing cross-functional teams. Here are my tips for mastering the complexities of being a product manager and keeping all the balls in the air. The role of the product manager is ever changing and ever evolving, and it’s our job to remain flexible and catch the curveballs thrown our way. When I first started in tech, there were very few official product management roles or titles. Nowadays, there’s a range of product roles specializing in B2B, B2C, platforms, early-stage products, growth hackers, monetization, and many more. There’s also multiple paths that lead to product management, which means today’s product managers come from an extremely diverse set of skills, backgrounds, and experiences. One commonality product managers share is to create value to a group of people (typically users or customers), and often to create value for an organization by directly or indirectly driving revenue. The role of product managers is to define the 3-W’s: What, Why and When. However, we do not define the How. We lead and guide other cross-functional teams who define the How. Designers define how features are used. Engineers decide how features are built. Marketing or Sales craft how features are positioned. Project managers coordinate how long it takes. Data analysts determine how much data to collect. The role of a Product Manager is to define the 3-W’s and provide guidance to the specialists who define the H’s in their respective fields. In a startup, you may have to wear multiple hats but the roles are clearly distinct. Product managers typically do not have engineers, design, sales, etc directly reporting to them. Hence, today’s product managers are generally collaborative and must influence change without necessarily having authority. To create value and reach a common end state, product managers must set the product strategy and vision, create the product roadmap and define the product features. Identify where you are in the product life cycle before defining the appropriate strategies to succeed. We’re in an interesting time where physical products are rapidly shifting towards digital ones, as well as the convergence of the two. The rise of software has led to many lines being blurred, new disciplines created, old ones merged. From connected platforms to music streaming apps, we continue to see more web, mobile, and cloud-based products created. Emerging technologies such as augmented and virtual reality, the Internet of Things, artificial intelligence, machine learning, bots, and drones also create exciting and new opportunities. What hasn’t changed is the need to continuously innovate — and innovate quickly! Managing physical versus digital products requires different strategies given the inherent differences in development, release cycles, and distribution. But regardless of your product, identifying where you are in the product life cycle is critical to creating strategies for success. Emerging products are typically testing for product-market fit. Often there’s no baseline and product managers rely on vision and intuition. Products in growth mode are scaling up and typically focus on acquiring new users. Products in maturity and decline phases is not necessarily a bad thing — it’s a reminder that the product already successfully transitioned through the emerging and rapid growth phase. Now it’s time to shake things up and find strategies that extend the product’s value for your customers! As a product manager, it’s your job to remind and lead your teammates in this direction. Before you develop a strategy for your next product, take a step back. Remember that this strategy will be a blueprint for every decision you and your teams make moving forward, so it’s important to ensure that it gets to the root of your overall product story. Some important questions to consider when figuring out what that story is: Who are your customers? What problem are you helping them solve? What do these customers value most? What are the economic factors you must face in order to deliver value? Once you answer these questions, you’ll be able to create a blueprint that maps back to the core reason you’re creating this product for users in the first place. It’s important to note that this blueprint needs to be communicated but doesn’t have to be static. It can change over time, but it shouldn’t change all the time. When changes are made, communication needs to happen. It also doesn’t hurt to repeat it to ensure the message is well received and understood across teams. Business models. Strategies. Product roadmaps. Just reading these words alone can make you feel overwhelmed, and when you feel overwhelmed, juggling everything on your plate becomes impossible. This is where you should utilize frameworks. Frameworks are a great way to show your teams how to logically break things apart. Sometimes these frameworks can feel like Captain Obvious — but that’s okay! These outlines help to create a pattern and ensure that everyone on the team is on the same page. And if everyone is on the same page, processes are simplified and deadlines are more likely to be met. There are many frameworks out there for managing development, processes, and strategy. Choosing one depends on what you want to solve for. Are you solving a high-level or tactical problem? Are you solving for how your next strategic project? Some popular approaches include The Lean Startup, Minimum Viable Product, Design Thinking, SWOT Analysis. Development frameworks include Agile and Scrum Framework, Waterfall Model. By no means is this an exhaustive list, but with so many choices, the important takeaway is to utilize frameworks to keep all the balls in the air, drive organizational efficiency, and align teams towards a common purpose. When working with cross-functional teams, a lot of the times the only thing the team has in common is the actual product they’re working on. How can you ensure you’re managing each individual team member in a way that will help them grow? A great tip I learned is to take a step back and look at each person’s passions. Passions can help determine a product manager’s strengths such as technical, user experience, business strategy, data, marketing, project management, or innovation. Our passions don’t always have to do with what we do at work every day, but they’re a reflection of what motivates and drives us. Understanding what each individual on your team is passionate about will help you identify opportunities for growth.